Date of 2009 London-Brighton Commercial Run ? : On May 3rd. IDENTIFICATION AND DATING: cca 1890s Pedal Car / Quadracycle? 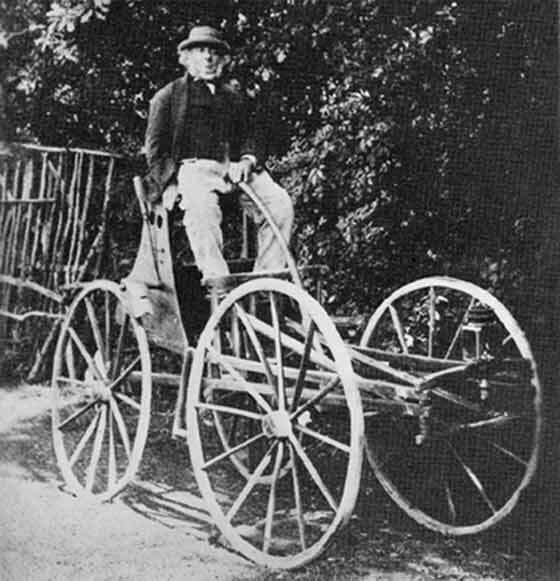 Scan received from Brian Warner of University of Cape Town (South Africa) of his great grandfather driving an early car in Outwood, Surrey. -- The general consensus by our veteran experts is that this is not a 'car' in formal sense of the word. Steering is by means of a tiller and there appear to be two long pedals that the chap has his feet on, possibly providing forward motion, - but effort required would be great. Quadracycle or agricultural vehicle where pedals plant things? Photo submitted by Professor John Hannavy (UK) asking if we can shed some light on the vehicles shown; also curious as to what the large castings were. 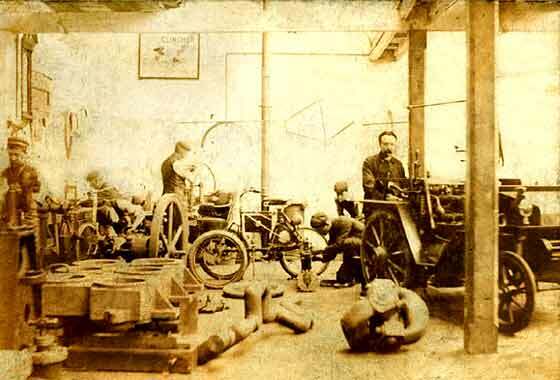 -- General engineering shop cca 1900. Mike Worthington-Williams thinks the car could be an early Arrol Johnston, the hand controls are very much like the first Arrols. The forecar on left is De Dion powered, the engine is out. The castings could be 'universal joints' for very large engines, such as stationary steam or those used in ships. Lovely period photo submitted by Claire Phillips (UK) asking if anyone can help her identify the car owned by her Great Grandfather J P Williams-Freeman. He lived at Weyhill House, Weyhill, Andover, Hants from 1891 to at least 1927, which is were the photo was taken. -- AA7 is a Southampton County Council registration at the end of 1903 when registrations started. Lord Montagu has a 1903 De Dion registered AA20. This car is a French Panhard & Levassor Rear Entrance Tonneau. Further to the item on the CGV on Help Page 21 we were contacted by Martin Grangé of La Chapelle sous Gerberoy, (France) saying he is working on his 1904 CGV Coupé Chauffeur Muhlbacher which he hopes to bring over for the London to Brighton Veteran Car Run. The car was having some carpentry done by Dominique Marcadier. Martin attached some photos of the CGV undergoing restoration. He knows only seven CGV in the world: 2 in USA, 2 in England, 1 in Ireland and 2 in France. Interesting set of photos received from our colleague John Osborne (New Zealand) Jaguar and Daimler Trust of a very unusual car owned by Colin Trevelyan of the Millennium Museum, Te Awanga, Hawkes Bay, New Zealand. The car is a French made 1907 Demeester Two Seater which was believed imported to New Zealand when new. It is also believed to be the only one in the world of this type still operational. Used Sultan engine. Later licensed 8hp Sinpar as smallest car in range. Lovely photo posted by Juha Kaitanen of Turku (Finland) saying this automobile was once driven in Jyväskylä in Central Finland. Says the photo is from the era driving and riding was lot of fun. The car looks very much like Orient but there are some features that make you think twice. 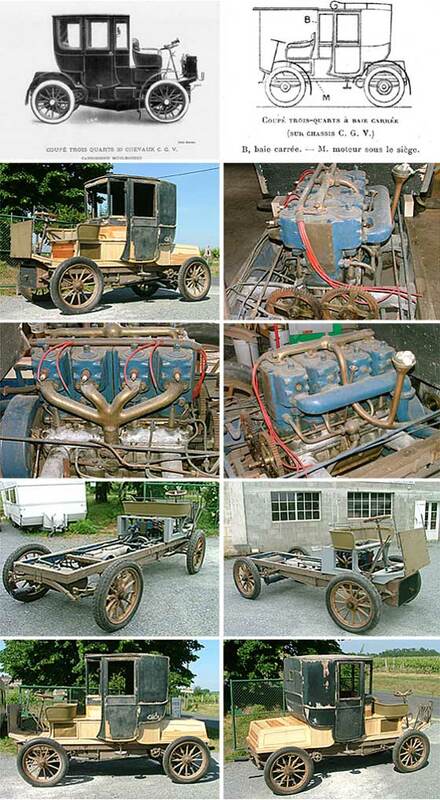 -- The vehicle seems to have all the appearances of a cca 1908 Waltham Orient Buckboard twin cylinder type. 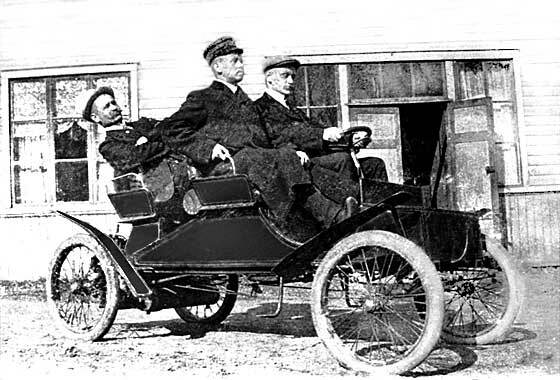 Some 1907/8 cars had more normal tonneau type bodies and steering wheels instead of tiller. Another of a number of very interesting photos submitted by Jan Lundin (Sweden) showing vehicles in the 20s and 30s Scandinavia, for which he is seeking identification and dating. This one is of a van in a British foundry. -- Ts were assembled in Trafford Park, Manchester, using US mechanicals and British bodies from 1909 to '14. Thereafter assembly line in the UK. 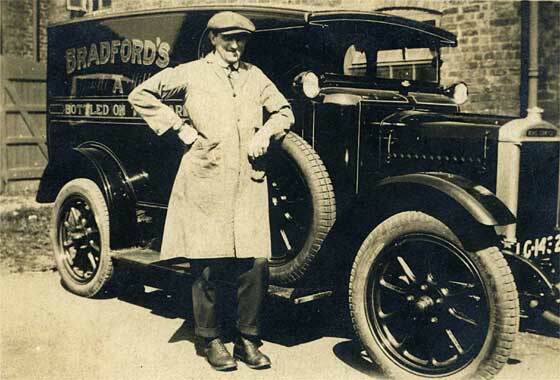 Flat bonnet sides suggest his was probably a cca 1913/14 Ford Model T. Argyll Mills used to manufacture machinery. 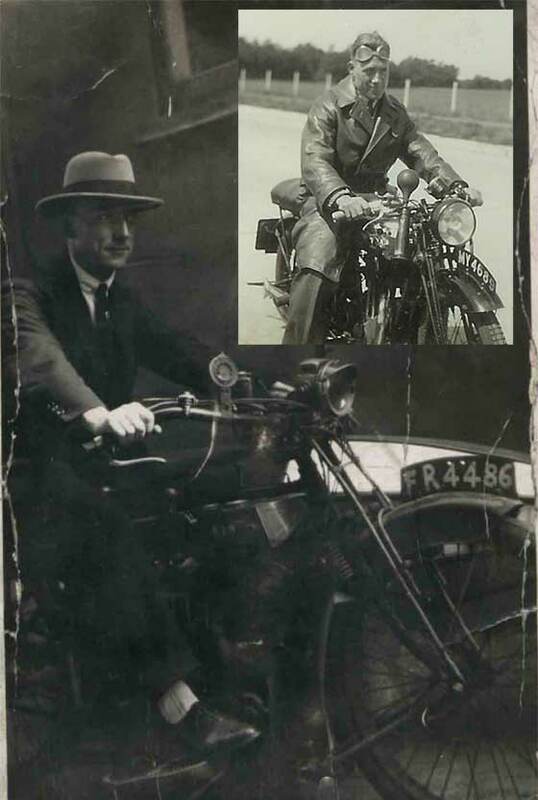 Great period photo of a wicker basket motorcycle combination sent in by Chris Fellows (UK) who would like to find out who's name is on the logbook as he is hoping one of the men on the bike is his Grandad. U 2183 is 1913 Leeds CBC Registration Number that according to DVLA is no longer current. The bike is a 1913 P&M 3.5 HP Combination. Phelon & Moore of Cleckheaton, Yorkshire developed the sloping engine as a stressed member and went on to make the famous Panther until 1967 ! Photo submitted to Rootschat by Chris M (UK) asking if we can help him identify this car and the probable age of the photo please. -- Somebody noticed the driver was eating a watermelon. The two ladies were also eating melon. So I guess that in the middle of the prairie a melon jumped up and ran across the road, and they hit it. The first lady probably put it out of its misery. 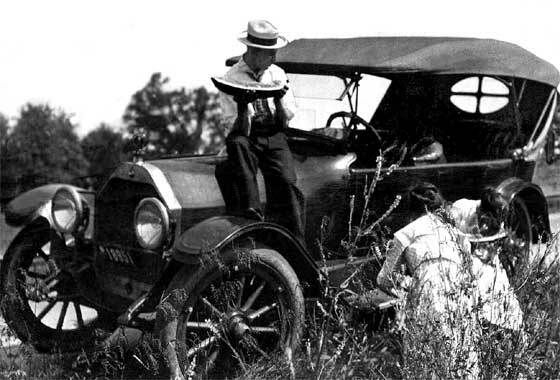 The car is an American cca 1915 Oldsmobile Touring. Car looks relatively new so the photo date is close. Great photo received from Vlad Sorokolat, Kiev, (Ukraine) of soldiers resting on a car in Russian Siberia. 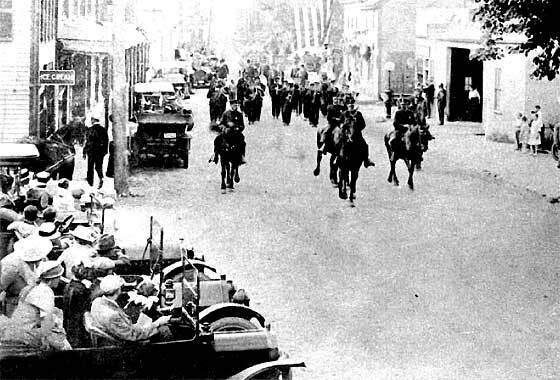 These cars were brought to Europe and to the Far East during World War I. The polished brass radiator was immediately indicative of the American Aperson 1914/15 although other bits were different. 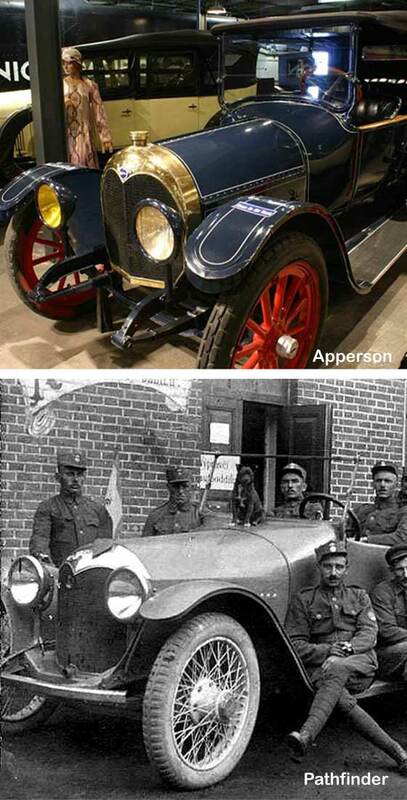 It seems that in the meantime Vlad had established that while the car was American, it was a cca 1915 Pathfinder. It is amazing that similarity of the radiators was allowed. Photo submitted by Samara Z. Tilkin (USA) asking if may be able to help identify the date of this photo, based on the cars. The photos were taken at a July 4th parade in Scituate Massachusetts. The hand written date on the back of the photo is 1896 or 1906. -- We an confirm that the Cars are from the 1910 to 15 period. It is absolutely impossible for the photo to be 1896 and, from the cars, it is too early for 1906. Our Rootschat friends say the ladies' dresses are indicative of cca 1916. 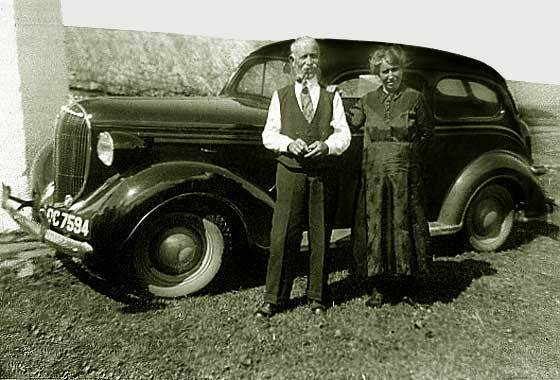 Rural photo submitted by Barbara Morrison (Northern Ireland) taken by her mother in County Down, Nothern Ireland early 1920's showing her paternal grandmother and father, in shadows of car. Local information suggests car is a Citroen and the registration is English. -- Registration XP 526 was issued by London County Council so car is cca 1923 Citroen Model B2. This car would have been built in France with right hand drive. In 1925 Citroen were making this and smaller Model C in Slough. Photo submitted by Doug Clews Doug Clews, Glen Forrest, (Western Australia) who is endeavouring to identify his Grandfather's car in 1920s/30s England. The general belief amongst family is that it is an Austin 20, but Austin enthusiasts say no. -- Our Singer expert Simon Bishop confirms it is a cca 1926 Singer 10'26 Saloon. Fitted with front wheel brakes so would be a 1926 model. In 1927 they fitted semi elliptic front springs, which would be visible. Body is almost certainly Singer. Photo submitted by Steve Walters (UK). 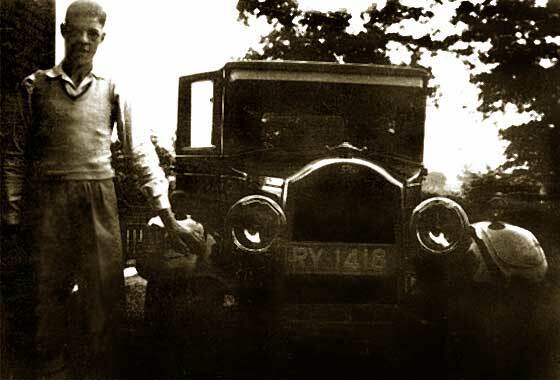 The young chap standing next to car is his father-in-law Ernest Simmons, now aged 91. Photo was c1938. 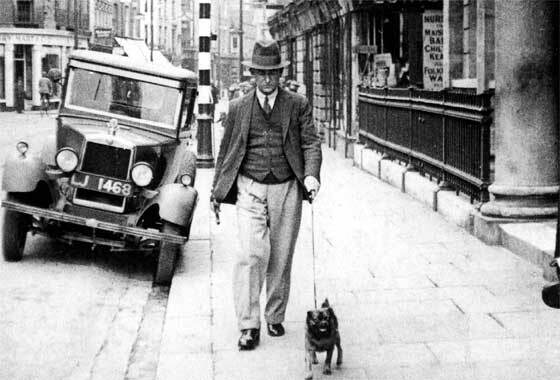 The vehicle would have been owned by Ernest's father, Joseph Simmons, who owned a transport company in Leicester. -- From the shape of the radiator the car is a cca 1926/27 Buick Sedan. Radiator changed for 1928. Registration is Leicester County Borough Council but no records were kept. The low number agrees with it being an early car. Photo sent in by David Taylor (UK) of five cars taken at Buckie on the Moray Firth coast of N. Scotland. 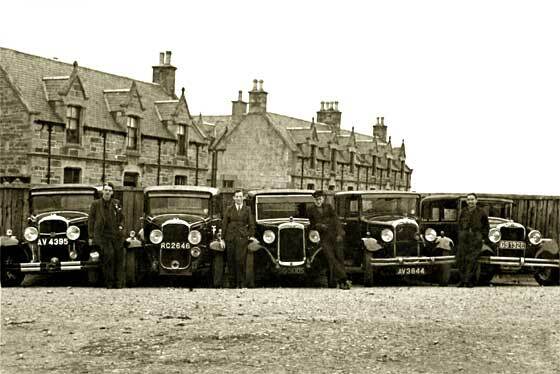 -- We can advise that the cars left to right are a 1931 Buick, a 1932 Buick, a 1931 Austin, a 1930 Citroen and a 1929 'mystery' car. His grandfather owned one of them, probably the one without someone, as he is taking the photo. This is an Aberdeen registered 1930 Citroen AC4. None of our contacts could name the fifth car. It is the two small dimples on the radiator which are the problem! Another photo submitted by Steve Walters (UK) about which he says:" The Bradfords Milk vehicle reg JG 1432 is just a random photo I bought at an antique fair in Ashby, - just because I liked it. I have tried researching it's origins without success. -- Well we can help with a couple of facts. JG is a Canterbury County Borough Council in Kent, issued towards the end of 1930. The louvres on the bonnet of the van are high as opposed short which ties in with it being cca 1930 Morris Commercial. Photo submitted by Jayne Shrimpton (UK) who is a dress historian and photograph specialist and who writes regular columns for Practical Family History magazine. She was interested to learn more about the car and what it might be able to tell regarding the date. -- LJ 1468 is a Bournemouth County Borough Council registrations issued spring 1930. The car is a Morris. 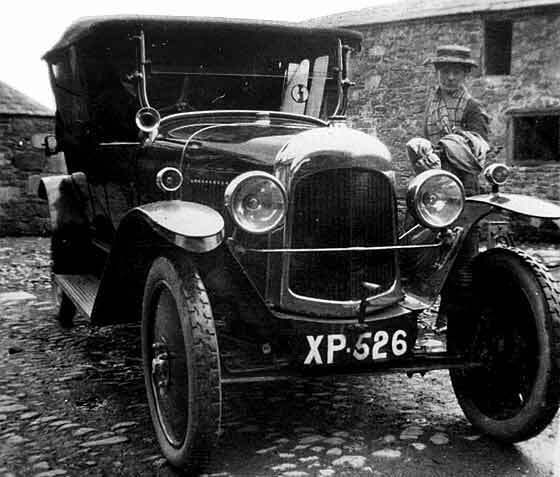 Confirmed by our Morris expert Chas Moody that the car model is the slightly simpler cca 1929/30 Morris Cowley Saloon. Very brief email from Corey Eagan from (Australia) saying his great uncle worked for Ford in Geelong, Victoria, and built a car called the Egan. They were built in 1935/36. He would love to find out any info. -- Not much is generally known about the Egan. Egan Motor Body Works had been making car bodies since 1916 and were contracted to Ford. 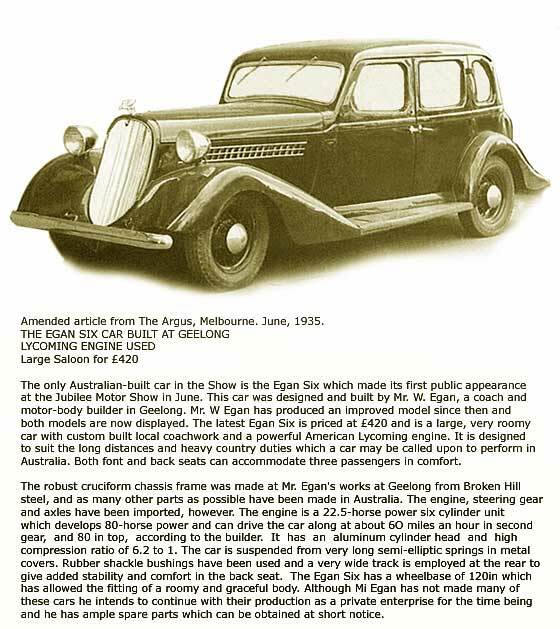 In 1935 William Egan decided to design his own car from parts mostly sourced in Australia. Not many were made. For more info click here. Interesting conundrum for Richard Cahill, Co. Tipperary, ( Ireland ). The lady is his great grandmother. Her husband, his great grandfather, died in 1933. The car looks later than this. It was taken in the south of Ireland, probably in the Tipperary area. -- We can only add confusion. The car is American and a cca 1937/8 Plymouth Sedan. Registration is unclear but looks like DC which would be Middlesborough cca 1927/28, too early for the car. Ireland did not have a D or DC reg. sequence. Gorgeous period photo submitted to Rootschat by Trish (UK) saying her late father was the gunner and sometimes driver of AC10, RAF Armoured Car Section in Somaliland in 1941. -- We do not normally cover military vehicles but these Rolls Royce Armoured Cars are worth a mention. Developed during WW1, served well into WW2, especially in North Africa. A number of later cars were used by the RAF. 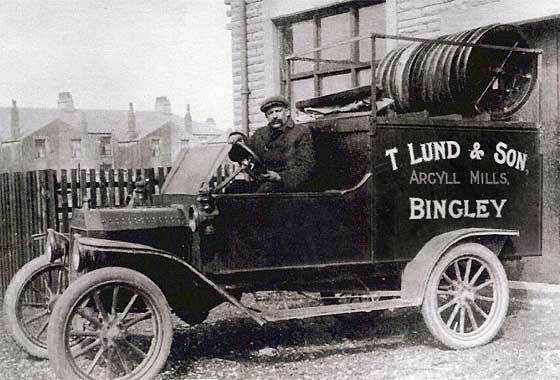 Lanchester, Alvis and Crossley also made this type of vehicle but looked different. Very puzzling photo received from Aleksandar Gavrilovic (Serbia) who says " I'm writing this e-mail to you from Belgrade, Serbia and I need your help in identification of this car. Car is in bad condition, I have only this picture of front end and I also heard that this car is made on early VW chassis, but that is only opinion of couple people. Please help me." -- We have passed the photo to a number of our experts and to other forums but sadly and unusually we ALL have not found an answer, - yet. 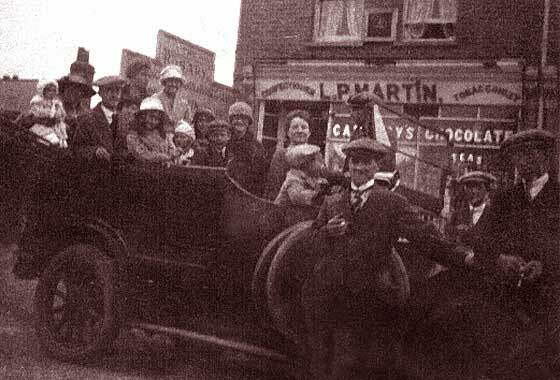 Period photo of a very full car was sent in by Barry Ennever (UK) who is researching the Ennever Family. -- We were not be able to make headway with the photo because most of the relevant identification features are not present: the radiator, the bonnet and the wheel nuts. 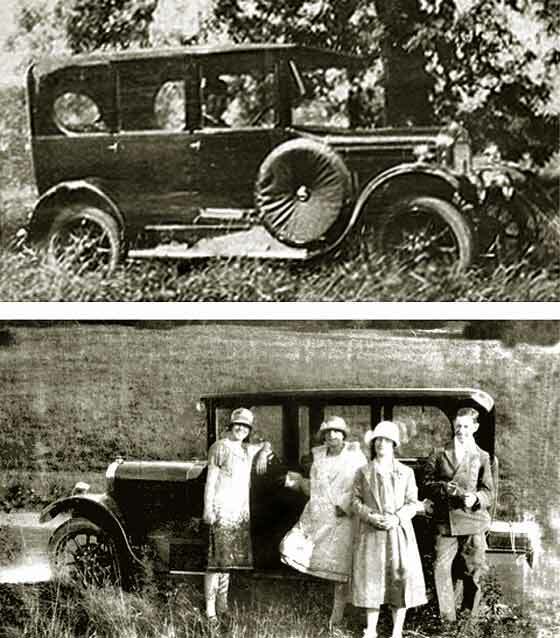 It is not normally possible to identify early cars by bodywork because bodies were made by external coachwork companies. The position of the numberplate on small bulkhead gives us a period of 1909 to 1914. Great period photo of a very proud chauffeur standing next to a magnificent Limousine was sent in by Peter Haventon (Sweden) Editor of Autohistorica. He says it is not a Maudslay, not a Delaunay-Belleville, then what is it? From post card in Germany, all obviously photographed in England. Do we have any ideas? -- Despite the car being a magnificent Limousine which must habve been quite expensive to purchase, none of our normal experts have come up with identification. Photo submitted by Fiona Manicom (South Africa) saying " I am doing some research on my Grandfather who enlisted in the East African Motor Corps in WW1. 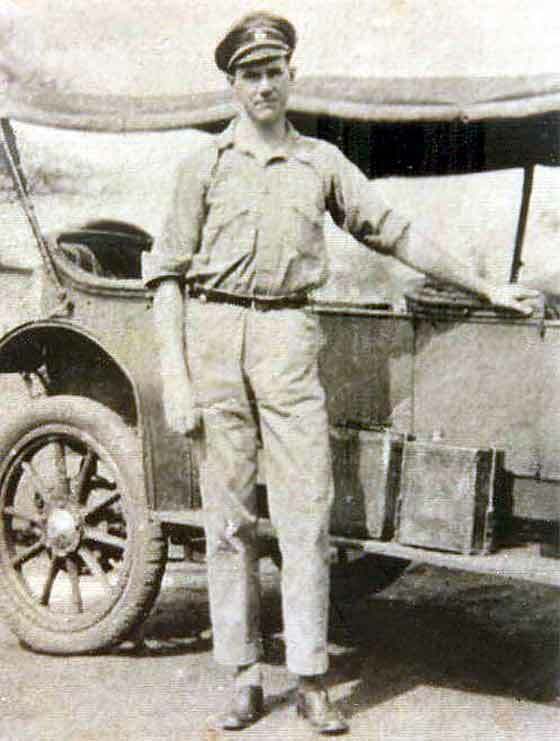 Would you help me with the identification of the car he is standing next to. I am also trying to find out how tall the car is as I have been told he was quite a tall man, but that doesn't seem to be accurate? 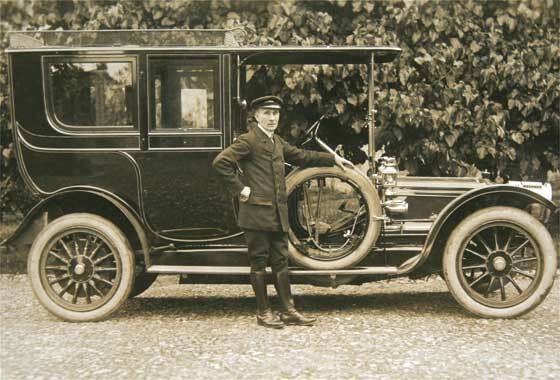 -- Subsequently identified from rear hub by Craig Gillingham from Australia as a cca 1914 Hupmobile Model 32. Car is unusually low! Two lovely photos were submitted separately by Hellen Brown and by Simon Beales (both UK) both of which had one thing in common. They were both scanned at a too low resolution and were very pixly. We requested re-scans and at BEST RESOLUTION possible, as it is the detail that provides the identification. Regretfully we have heard nothing since. It is simply not possible to identify vehicles without being able to magnify certain details which are pointers to make and date.